ECC 9th Graders, were recognized by Valley View ISD Board Members. ECC 9th Graders, Angel Alonso And Francisco Cuellar, Take 1st Place at State Welding Competition!! Angel Alonzo Garcia And Francisco Cuellar Were Recognized By Valley View ISD Board Members. 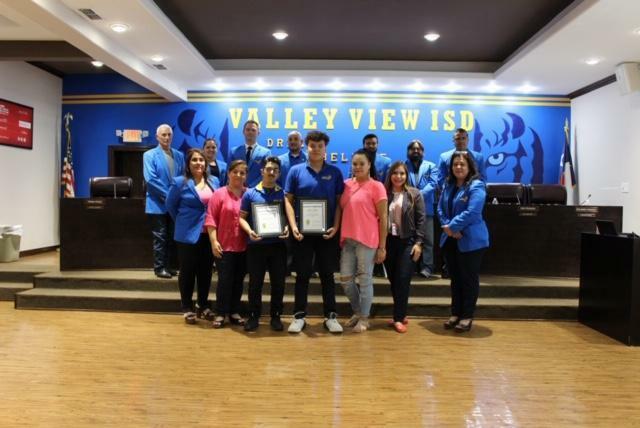 On Monday April 14, 2019 Angel Alonzo Garcia and Francisco Cuellar were recognized by Valley View ISD Board Members for their outstanding achievements. 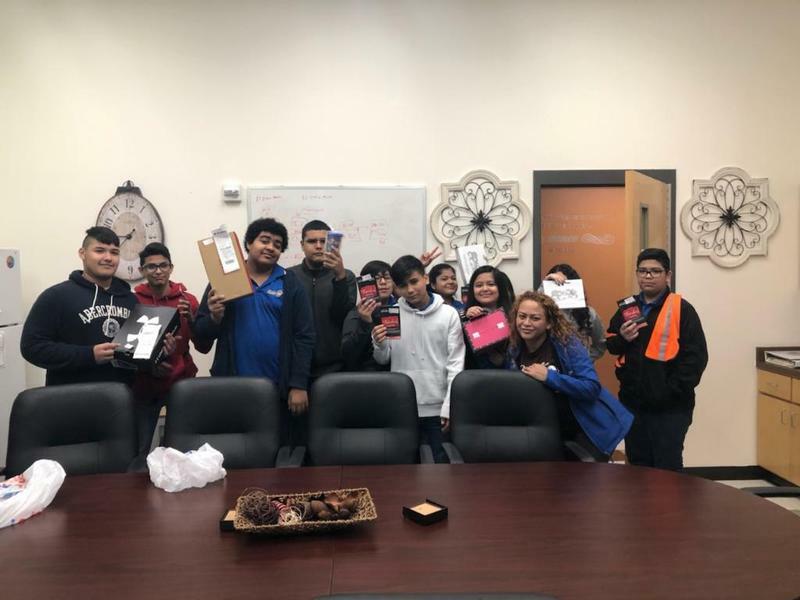 Angel and Francisco are both Early College Campus students who attend half-day in our partnership with the South Texas ISD Career and Technology Program. They competed at the Regional level and both advanced to State, to compete in The Skills USA State competition. Angel Alonzo Garcia won 1st Place in Regionals and on April 4th he brought home 1st place in State Competition, in the Welding Bench Grinder Stand Category. Francisco Cuellar also won 1st Place in Regionals and placed 1st in State Competition, in the Welding Rocket Stove Category. 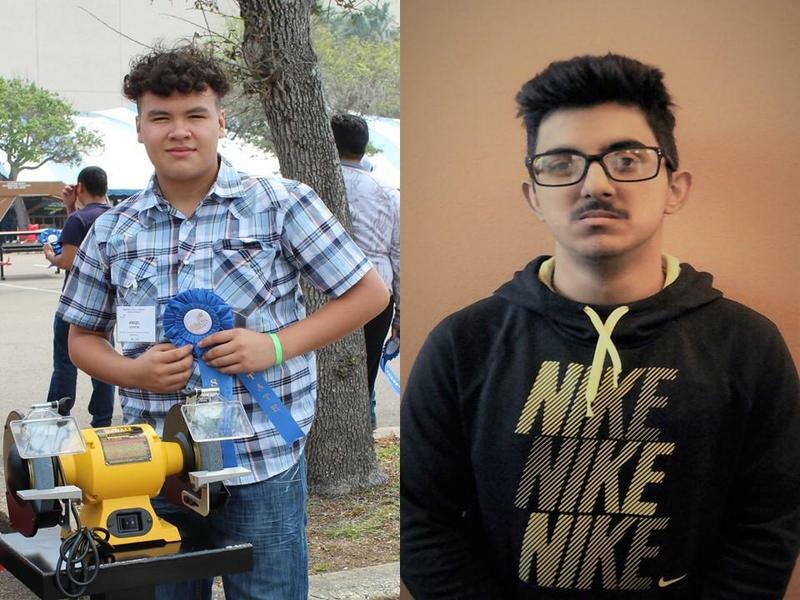 ECC 9th graders, Angel Alonso and Francisco Cuellar competed in the STISD Career and Technology Half Day Programs at the Skills USA State Competition that took place in Corpus Christi, TX this past April 5-7. They both did an outstanding job; Angel received 1st place in Bench Grinder Stand Welding and Francisco received 1st place in Rocket Stove Welding. This upcoming Tuesday, April 16th, a reception will be held at the Andres Zermeno Memorial Gymnasium of the Science Academy of South Texas in Mercedes, TX, honoring all students who competed at the state level competition. 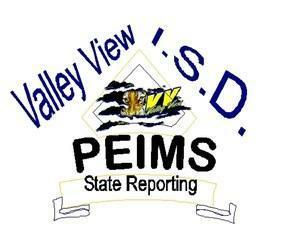 This reception will be hosted by the STISD Board of Directors & Administration. Congratulations Angel and Francisco, you both made us all proud! 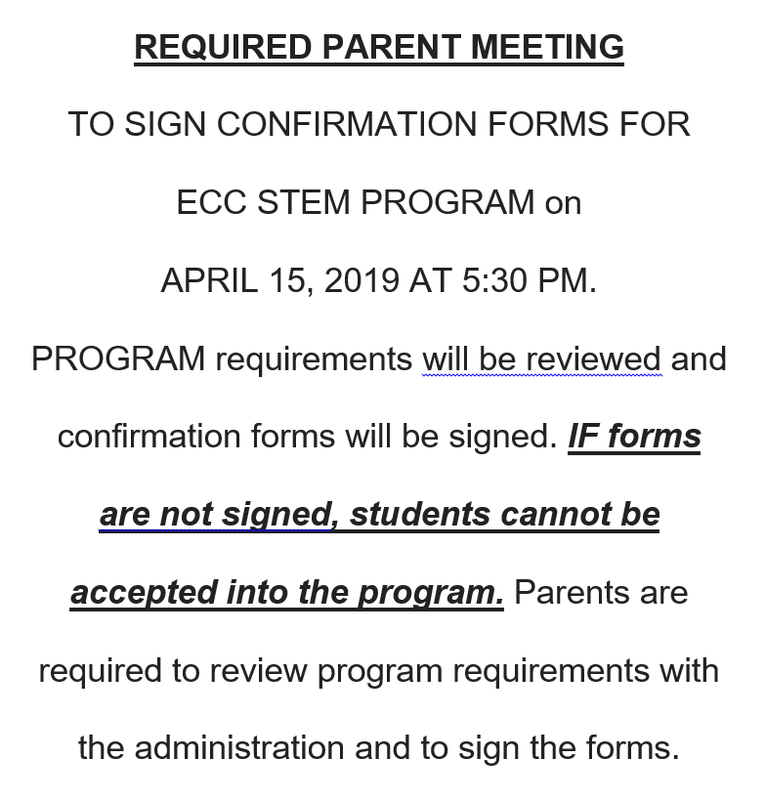 There will be an important meeting for parents whose child was selected for the ECC- TSTEM Collegiate Program for the 2019-2020 school year on Monday, April 15, 2019. 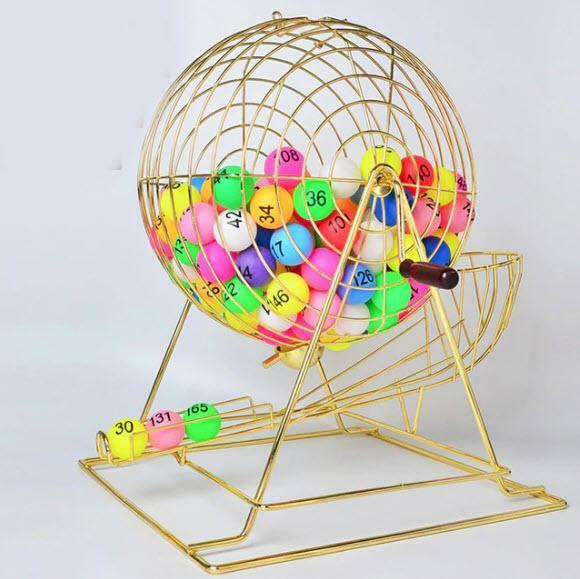 Income Surveys Are Due Friday 04/05/19. All Students Must Turn In A Form. Income surveys are due Friday 4/5/19 (2nd period teacher). Students that bring income survey by Friday will get ice cream on Monday 4/8/19. 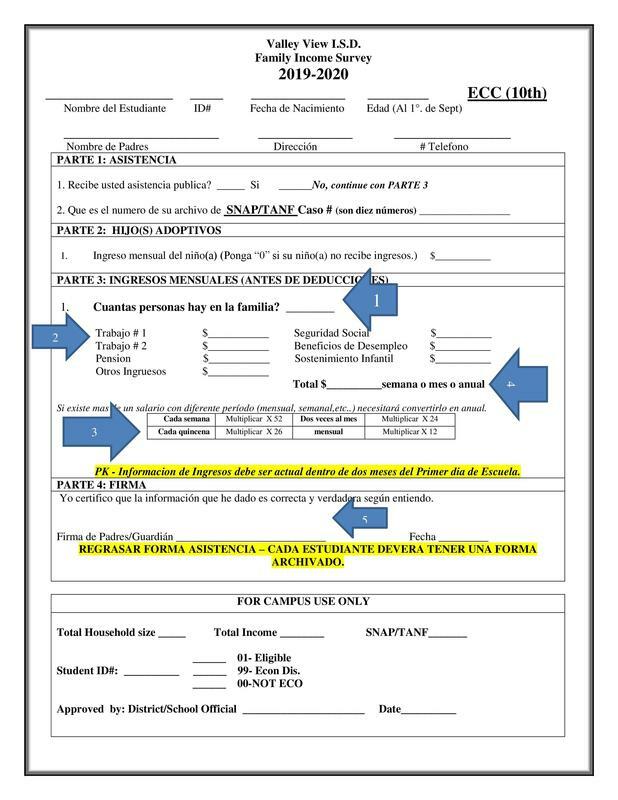 All students must turn in a form. Valley View's Tigerettes At Marching Auxiliaries Dance Competition. We are very proud of what our Valley View ECC/JH “Tigerettes” received in the Marching Auxiliaries Dance Competition held on Saturday , March 9th at Palmview High School. Our Tigerettes performed 5 dances in the genres of Team Pom, Team Jazz, Team Hip Hop, Team Contemporary, and Team Kick. Our students won Choreography Award in all dances and earned Technique Awards in Team Hip Hop and Team Pom and received High Points in Team Pom, Team Kick, and Team Hip Hop! Competing against Middle School’s and High School’s our Tigerettes were chosen as the Regional Champions Winners Circle. Also, our Tigerettes received a Super Sweepstakes Award for completing a 90 and above scores on all dances. Once again, our Tigerettes, demonstrated that it takes TEAMWORK to achieve great things. Listed below are the awards that the Tigerettes brought home and the category: Choreography Award in: • Hip Hop • Pom • Jazz • Kick • Contemporary Technique Award: • Hip Hop • Pom High Point in: • Hip Hop • Pom • Kick Super Sweepstakes for receiving a 90 and higher scores on all dances. Regional Champions Winners Circle. CONGRATULATIONS to our "Tigerettes" Dance Team and their dance teacher, Ms. Patricia Vigil. Janeena Villarreal Won At The Rio Grande Valley Live Stock Show. 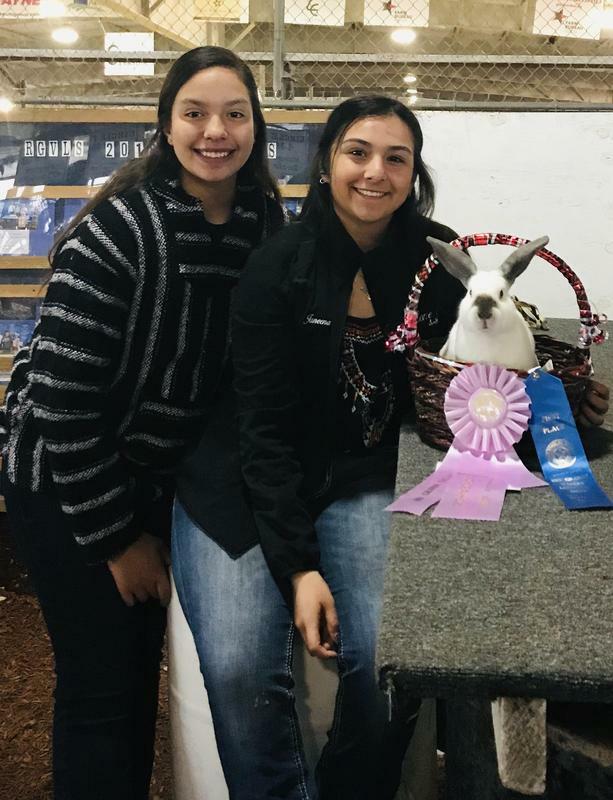 We just wanted to share with you that Janeena Villarreal showed at the Rio Grade Valley Live Stock Show this year again and won Reserve Breed Champion with her rabbits and places 5th with her steer. Congratulations to Janeena! We're excited to launch the new School News App by Edlio for our district and campus websites! 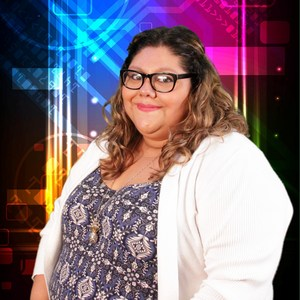 On the Tiger Spotlight, this week is Ms. Natalie Gutierrez. Mrs. Gutierrez is the 8th Grade Social Studies Teacher. She has great enthusiasm and is always positive. She has set very high expectations for her students to be successful on the STAAR exam. She rewards her students with pizza after their benchmarks and she has created several YouTube instructional videos to ensure her students stay motivated and up to date with the social studies content. She utilizes the latest technology to enhance learning. Thank you Ms. Gutierrez for your positive outlook on everything and for all that you do for your students. This week's Tiger Spot is Mrs. Rocio Ausucua. 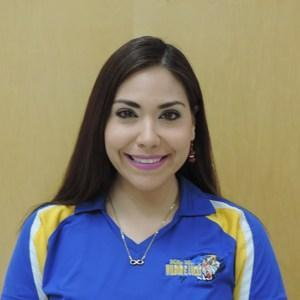 Mrs. Ausucua is new to our campus this year, she is our 9th Asst. Administrator. Mrs. Ausucua is a hard worker, she learned how the campus runs very quickly. Mrs. Ausucua deals with students, staff, and parents with patients, understanding, and kindness. Mrs. Ausucua has been a great asset to our campus. Great Job Mrs. Ausucua! 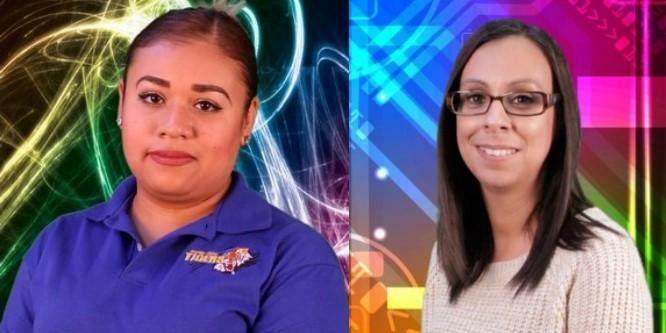 Earning their way to the Tiger Spotlight this week is Mrs. Angela Rivera, Counselor Clerk, and Mrs. Renee Garza, Attendance Clerk. We met at the beginning of the year to develop procedures to deter potential dropouts and to follow up with all students withdrawing from ECC. These ladies have all required documentation for the entire year and have managed to retrieve several students back to Valley View. Great Job Mrs. Rivera and Mrs.Garza!